Similar to a normal general liability policy, it is something adapted to expand or eliminate the watercraft exclusion. Typically includes products/completed operations and all usual CGL coverage’s. It is often based on older versions of the CGL forms. Liability insurance is that type of marine insurance where compensation is bought to provide any liability occurring on account of a ship crashing or colliding. In the course of the marine adventure, one ship may collide with another ship. The goods of another ship may lose. Marine insurance provides the compensation of such liabilities nowadays if insurance has made insurance of such liabilities. A crew member traveling with expensive items, such as laptop computers, gold watches etc. should make sure that he has such items separately insured. The marine equivalent of Automobile Liability. It covers the liability of a boat owner for bodily injury and property damage. It may include or exclude liability to captain or crew (see Jones Act). The Merchant Marine Act of 1920 allows seamen a remedy to sue their employer for negligence in the event of injury or illness incurred in service of the vessel. A method of insuring an employer’s liability under Admiralty law (Jones Act, Maintenance & Cure, etc.) to his employees. It provides similar coverage for employers as contained in a P&I policy. It does not cover Longshore or any third-party liabilities. Hull insurance is the insurance against loss caused by damage or destruction of waterborne craft or aircraft to the owner. It is the insurance of the ship which includes all the articles and pieces of furniture in the ship. Hull and machinery insurance can be done to protect the shipowner and investment in the ship. If the ship is damaged, the owner of the ship gets indemnity from the insurance company. 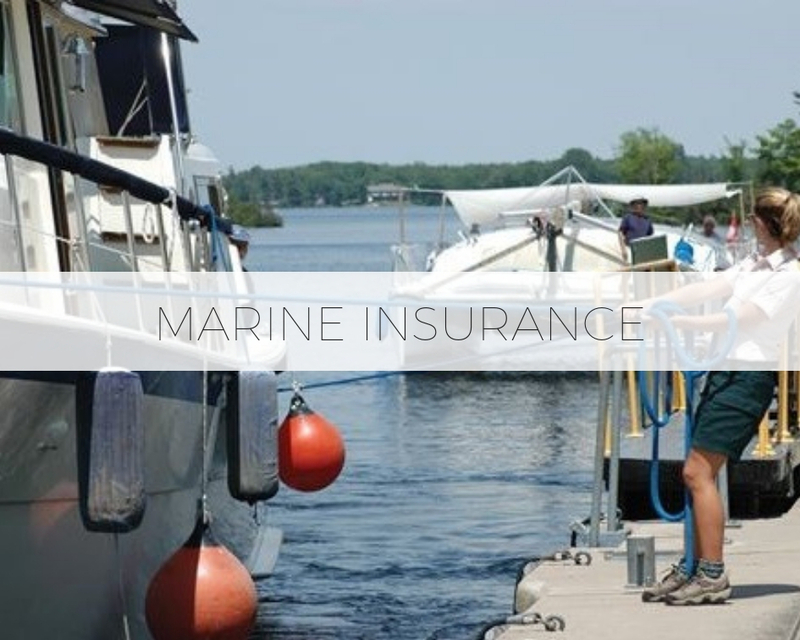 This type of marine insurance is usually, taken out by the owner of the ship in order to avoid any loss of the ship in case of any mishaps occurring. Liability for physical damage to another vessel you might hit. Typically included in the hull policy up to the limit of that hull policy. Liability for physical damage to another vessel you might hit. Typically you replace the collision liability with this and add it to the P&I policy so it is included up to the limit of the P&I policy. Liability to a vessel and its cargo that you are towing or pushing. Longshoremen and Harbor Workers Compensation Act (actually should be LHWCA0). It is a federal workers compensation program designed predominately for “dockside” workers. Ship Repairers Liability coverage part is extended to apply whenever any persons employed by the insured or on the insured’s behalf are on board the watercraft or any port for the purpose of effecting repairs or alterations, notwithstanding that such persons may be signed on as members of the watercraft’s crew. A combined excess policy. May or may not be excess over Employers Liability, Automobile or other non-marine policies. A combined policy to insure for accidental vessel related pollution cleanup, OPA & Non-OPA compliance and include optional fines & penalties.